Carolyn J. 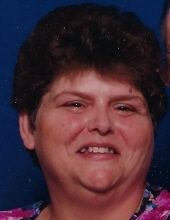 Brown, age 64, passed away suddenly but peacefully in her sleep at her home in Stillwater on Friday, November 16, 2018. Services have been entrusted to the care of Dighton-Marler Funeral Home of Stillwater. A Celebration of Carolyn’s life will be held on Friday, December 7, 2018 at 1:00pm at Resthaven Memorial Gardens Cemetery in the Garden of Memories in Oklahoma City, OK, with Russ Hughes officiating. Carolyn was born April 30, 1954 in Anadarko, Oklahoma to Bervie Dale and Eleanor (Buckmaster) Chambers. She grew up in the Anadarko/Fredrick area and attended Moore Public Schools. She later attended the University of Las Vegas to pursue her Accounting degree. She worked for several years as a Medical Billing Specialist until her health failed her and forced her to retire in 1994. She and Lawrence “L.T.” were married January 25, 1978 in Whitten, Texas. They celebrated 32 years together before he preceded her in death on April 1, 2010. Carolyn has always been an avid reader, never passing up a good novel to read. She also enjoyed sewing, crocheting, playing video games, and spending time with her family. She was dearly loved and her passing will leave a great void in the lives of all those who knew her. She was a member of Sherwood Baptist Church in New Castle, OK for many years prior to her health requiring her to move with her daughter in Stillwater, OK. She was a devoted Christian and loved the Lord. Her survivors include her three children, Angela Carpenter of Stillwater, OK, Debbie Goodwin of Midwest City, OK, and Bobby Brown and wife Debbye of Highland, TX; brother, Calvin Chambers and wife Doni of New Castle, OK; 9 grandchildren, Alycia Hamon (Robert), Hannah Carpenter, Maddie Carpenter, Shelby Carpenter, Tommy Mathis (Leeann), Courtney Jordan, Brandon Canada, Melissa Watford, Glenn Windham; 8 great-grandchildren, Zander Hamon, Takyah Jordan, Ryleigh Watford, Ashton Morris, Emma Canada, Kyle Ray Mathis, Carrie Elizabeth Mathis, Hannah Windham; numerous aunts, uncles, nieces, great nieces, great nephews, cousins, and a host of friends; as well as her three little fur babies, Hope, Sassy, and Sugar. She is preceded in death by her parents and husband. To send flowers or a remembrance gift to the family of Carolyn J. Brown, please visit our Tribute Store. "Email Address" would like to share the life celebration of Carolyn J. Brown. Click on the "link" to go to share a favorite memory or leave a condolence message for the family.